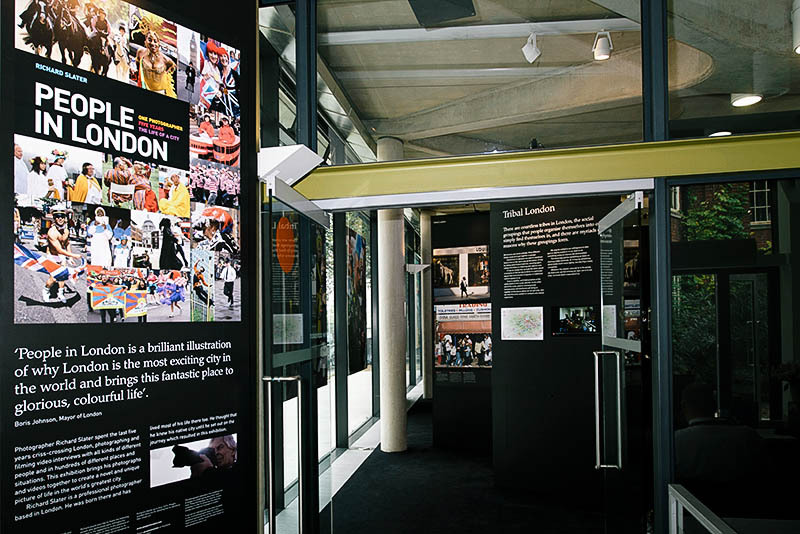 People in London travelled to all corners of the city and exhibited over 400 photographs and a selection of videos at at the Royal Geographical Society from 8 September – 20 October 2014. To put the Londoners in context, the exhibition contained specially created maps to show where Richard took his photographs and a soundtrack of typical London sounds completed the experience. If you missed the exhibition, check out our behind the scenes video and pictures below, read more about the Londoners or visit our shop to buy a copy of the People in London book. A few pictures of the exhibition. Click on any image below to enlarge.